After much careful thought and deliberation, we chose him to be in-charge with the most important aspect of our wedding day, the Photography. If there is one thing that we should invest more for this wedding, I'd say it's the memories that we keep after, and what a best way to document everything is through the artistic and creative hands of our wedding photographer. I may be thousand miles away from Cebu, but I managed to find one of the best talents in this field. Thanks to the power of Internet! I've lurked in a few other Cebuano photography websites but I must say Rolando's packages are worth every peso you spent. I've chosen the "With Album" package and I'm so grateful that he gave me a decent rate of discount so I need not think more, we'll be formalizing everything on Friday, April 3rd. He emailed me a copy of the contract and I'm gonna have my mom sign it on Friday on my behalf. 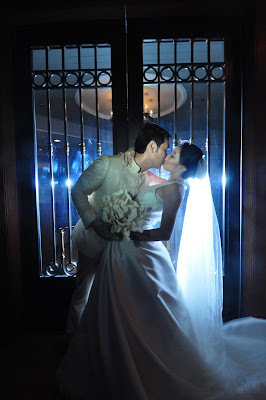 Here's more of Rolando Pascua's wedding photography. I must admit that I was disappointed when I found out from the account executive of Casino Espanol that January 2, 2010 was no longer available if I was to hold my reception at their ballroom. How could that be? It's still 10 months from now. I mean who would have thought that aside from me, there's somebody else out there in Cebu who also plan to get married on the 2nd day of the year. I didn't choose that date for feng shui, horoscope, star signs or any goodluck reasons, which I don't see anything wrong if I did. But that seems to be the most practical date for me and Jeff considering his limited number of vacation days. We wanted to spend Christmas and New Year with my family so after the wedding day, that would leave us roughly 2 weeks for our honeymoon in Boracay and a visit to some of our favorite dining places in the city. But since we could not have it on the 2nd of January, we were forced to move it to January 9th. I was told the date is still open but I'm still waiting for a reply from the account executive as to how would I be able to reserve that date for me. Initially, I did not want to confine myself and my guests within the four corners of the venue, that's why I've always wanted it to be in a garden or at a beach. But I don't want to put the convenience of my guests at risk especially since December and January in the Philippines are known to be rainy season, and that eliminates the choice of a picturesque garden or beach venue. If you're not careful, reception itself is gonna cost you a fortune. No matter how tempting it is to choose Waterfront, Marriott and the like, I didn't want to succumb to it because I wanted to be practical. Yes, I've been dreaming for this wedding my whole life but I don't want to go crazy with my choices and end up depleting our savings just to prove a point. I choose to have it in an elegantly simple venue, within our price range and most importantly a place that serve good food. After all, a reception is all about food and the special memories that I'm going to share with the people that I hold dear to my heart which are my family, relatives and friends. I really hope I would hear back from Casino so I can get this part out of the way. I have 90% decided on most suppliers that's going to be a part of my dream team. 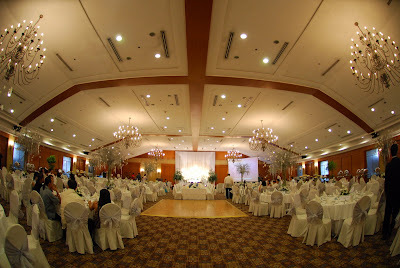 I believe the reception is the most expensive part of the wedding (aside from my gown =)), that's why I'm giving this my utmost attention. 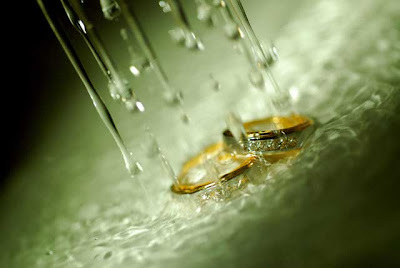 I hope everything will fall into place as soon as I have my church and reception set. The last but not the least stop we made on our Valentine's trip is Hot Springs Mountain Tower. We only spent 2 days in Hot Springs so we made use of our time while we're there. Right after our mini-photo session at the thermal waters of National Park, we headed straight to the 216-foot observatory of the city. This Mountain Tower affords a breathtaking panorama-encompassing hundreds of miles of beautiful Hot Springs, the Ouachita Mountains and the surrounding Diamond Lakes area. It was indeed a magnificent view unfolding right before our very eyes. They have a small gift shop in the ground floor of the building and I bought some little knick knacks for souvenirs. Below is the last batch of our Valentine's date photos. As I've mentioned in my previous post, Jeff took me to a Valentine's trip to Hot Springs, Arkansas. It's a small, tourist place with lots of wonderful views, historic places to visit, cool places to shop, nice restaurants, various gift shops sprawled around the entire city. Checking out the HS National Park was not part of our itinerary but it was a blessing in disguise, because the restaurant that we went to for breakfast was situated right in front of this picturesque national park. Jeff saw the park through the glass walls and he asked me if I want to walk around the park after breakfast and without any hesitation, I said Yes! I was awed when I actually see with my two eyes the healing thermal water that's coming out of the ground. That's what attracts people to Hot Springs. People have used the hot springs here for more than two hundred years to treat illnesses and to relax. You can actually go to the Bathhouse Row for a therapeutic bathing experience. Unfortunately, we haven't tried it on our first visit but we would definitely try it on our next trip. One of the things I love about having mini-vacations is the photo opportunity. Hot Springs is a very pretty place and I couldn't let the chance pass to have souvenir photos of me in a very romantic and picturesque place like this. I'm grateful to my ever-dedicated hubby for taking all these photos of me. He would always tell me that I'm his favorite photo subject. (*wink) Most of these photos are taken at the Garvan garden. Please enjoy viewing them as I was having fun when I had all these shots taken. Have a very fun Sunday, everyone!